February 10, 2014 (ATN) -The West has praised Thaksin Shinawatra and his "populist" policies for years as an example of very best of modern progressive principles in practice. Cheap loans, free computers, and rice subsidies were hailed as democracy in action by the Western media - and those who questioned the unsustainable, corruption and scandal fraught policies were swiftly condemned as "elitists" who rejected equality. The goal of these policies were never to lift up the poor, but rather install Thaksin Shinawatra into power long enough to uproot Thailand's indigenous institutions and open the nation up to foreign corporate-financier and geopolitical exploitation. However, this myth of a "populist" "pro-rural poor" government, has been finally laid to rest. The ill-conceived vote-buying scams the regime had propelled itself into power with, have now fully unraveled in a spectacular display of vindication for the regime's opposition. However, as it has unraveled, it has left farmers across the nation robbed of both their rice and their promised subsidies, along with a devastated rice industry that may take years to recover in terms of quality, exports, and reputation. Farmers have been gathering in increasing numbers across the country in protest of the regime - blocking roads across the rural countryside, and mobilizing in the capital city of Bangkok along side ongoing anti-regime protests. The growing anger amongst the rural poor could perhaps be best seen during the recent February 2, 2014 general elections in which voter turnout failed to reach even 50% (as opposed to over 70% in 2011) - a devastating indictment against the regime's credibility and legitimacy. 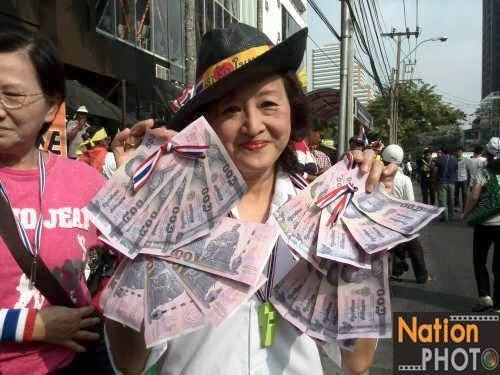 Protest leader Suthep Thaugsuban has mobilized several marches to gather donations for rice farmers who have sought, but failed to receive promised compensation for contracts they signed with the Thaksin Shinawatra regime. These marches, however, cannot even begin to dent the debt and damage incurred by the regime's reckless vote-buying scam. The protesters have also been formulating policies to help rice farmers, should the regime collapse and the opposition find itself in power. While these steps are absolutely necessary, other options, organized by the protesters and other interested parties could be implemented in the interim to relieve struggling farmers and steer them away forever from the politically-driven exploitation of both themselves and the industry they have dedicated their lives to. DACs that regularly meet each week may produce other alternatives and ideas - collecting money to send farmers on trips to learn organic farming - giving them new skills and expanding their economic activity above and beyond the rice industry destroyed by the Thaksin regime. 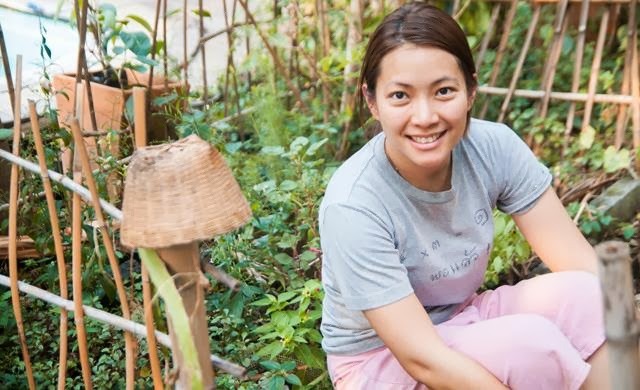 As described in "Modern Organic Farming in Thailand," organizations like Khao Kwan Foundation and Ploen Khao Baan have already been established to help farmers improve their lives through skills, improved market value, and economic diversification. In "Thailand: Vote-Buying Rice Scam Collapses - Farmers in Need of a Solution," technological solutions were discussed that can begin helping farmers in the mid-to-long term. The ultimate winner of this political crisis will not be who can talk about the best solutions - the ultimate winner will be who actually implements the best solutions. At the moment, the protesters represent a sea of human resources, that if aware of their pragmatic potential and organized in independent DACs, could easily win the race in both the name of their political struggle, and in the name of the nation they would like to see Thailand evolve into in the coming days, weeks, months, and years.